During my first days in London, I had the lucky chance to meet two girls who interestingly introduced me to the world of Curating from a different and unusual perspective that is now largely spreading internationally. Nur Elektra El Shami is Italian and Irina Turcan grew up in Moldova and the Czech Republic. They have known each other for more than seven years but, before fully devoting themselves to the art world, Turcan was working in investment banking, while El Shami was in the luxury sector (which in my opinion infers what kind of background it’s better to have so as to work in the Art world). Acknowledging that technology and mass media have recently increased the accessibility of experiencing art, in 2012 Nur and Irina decided to start art:i:curate in order to establish a collaborative curation of art exhibitions. Curatingthecontemporary interviewed the founders of this platform. N/I: art:i:curate challenges traditional art world paradigms by letting people define what contemporary art is and giving new artists the opportunity to exhibit their work in diverse physical locations. Against gallery programmes, art:i:curate creates a new dynamic where art collectors and enthusiasts engage in a dialogue as they discover and collect emerging talent from around the world. As the first platform of its kind, it showcases emerging artists, pioneering the grounds of “crowd-curating”, beyond the virtual world: the platform organises offline art exhibitions and events based on the art the public likes and the artists they follow. C: HOW DOES THE PLATFORM WORK? N/I: In order to be featured on art:i:curate, artists have to submit either individual artworks or an exhibition proposal. 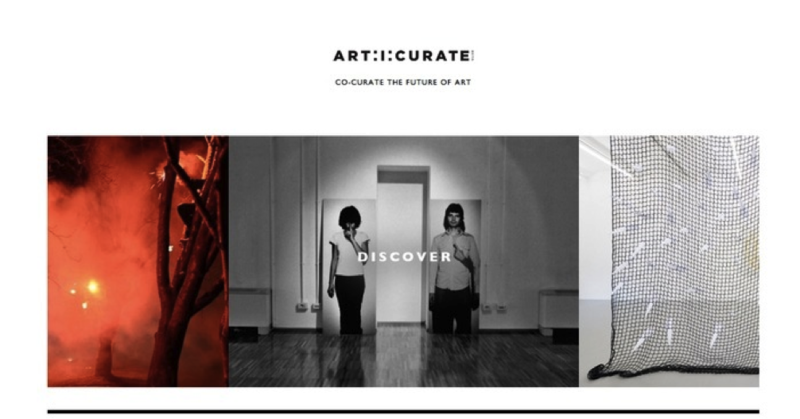 Likewise curators can propose exhibitions by contacting submission@articurate.net for further information. 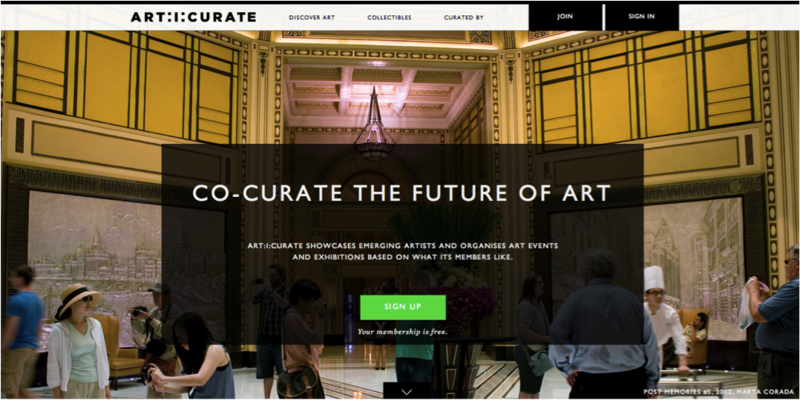 On www.articurate.net members can then decide which artists will be exhibited offline by liking artworks and following artists. Also through the “Curated by” section users can select a minimum of six artworks to share with the community and group them under a specific curatorial theme. Some have chosen to draw attention to contemporary artists from their hometown; other themes are more abstract and have particularly pointed out a general predilection towards photography and film as sculptural mediums. To organise events and exhibitions, the platform has teamed up with sponsors from various sectors, such as Ligne Roset, Pernod Ricard, asset management firms and private individuals. Partnerships have been created also with: Residency Unlimited of New York, the Node Center for Curatorial Studies of Berlin, the Delfina Foundation of London, the Laboratorio Para La Ciudad in Mexico City, the Centre for Contemporary Arts Afghanistan (CCAA), the Kuenstlerhaus Bethanien, the A.M. Qattan Foundation and the Max Center Artists e Architects-In-Residence Program in Los Angeles. C: WHAT IS THE MAIN REASON WHY YOU HAVE CREATED art:i:curate? N/I: We felt that often there is a wall – a lack of dialogue between the artist and the collector and it’s very difficult for emerging artists to be seen or get exhibited. What people see and have to accept as the art of our era is often dictated by top galleries. We think that there is too much talent in the world to be ignored. Through art:i:curate, we want to include the public in the process of shaping what contemporary art can be and help emerging artists exhibit internationally. C: WHAT KIND OF EVENTS HAVE YOU ORGANISED SO FAR? N/I: art:i:curate has organised exhibitions in London and New York. However the ambitions go beyond as the platform aims to set up exhibitions with over 100 artists and in 30+ countries worldwide. It also offers visibility to artists in emerging countries that would be otherwise difficult to access. art:i:curate events are very diverse and differ from traditional gallery walls. You may find fashion designers chatting to bankers, actors to lawyers, psychiatrists to writers, academics to entrepreneurs, and artists to clerks (we really want these dialogues actually to happen!). These events also inhabit unusual locations like collector apartments, retail and industrial spaces. art:i:curate’s network support is an integral part of the platform’s livelihood that encourages and embraces new forms of patronage. So what are you waiting for? 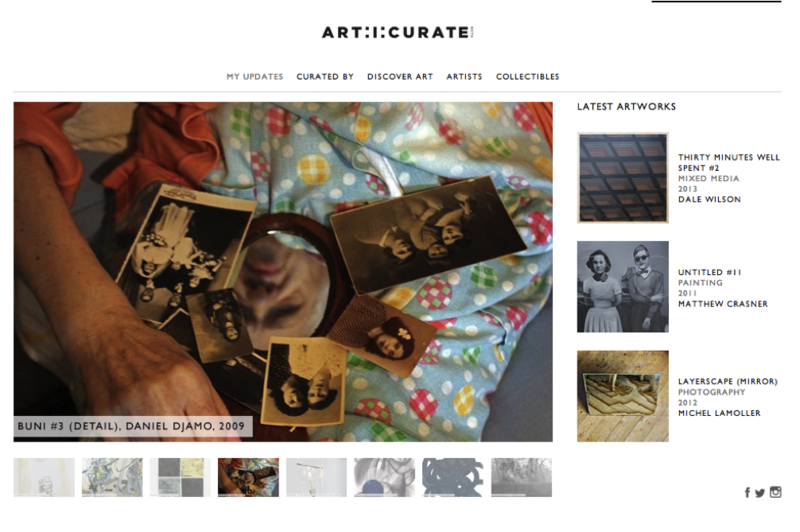 Visit www.articurate.net, sign up and give the curator that lives inside of you the possibility to come out!